Sports Card Forum announcements, feedback, tutorials, new member area and sports card events! Official Sports Card Forum news and information. Come Join Some Contests, win some SCF Reward Points & other prizes! Updates from the Manufacturers - Information about Shows and Card Shops in your local area! SCF Onsite Events will also be posted here! Buy, sell, trade or discuss sports cards here! Through-the-mail, In Person Autographs, Memorabilia, Fan Packs, NPN! For sports memorabilia trading, discussions and show and tell. 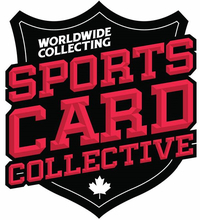 Welcome to Non-Sports Card and Collectibles Forums powered by Sportscardforum. If you have a suggestion, question, commnet, please contact scottkoz20 or patriotsguy. This forum is for all SCF Sponsors to post and advertise their Listing, Auctions and Group Breaks. If you are interested in become an SCF Sponsor, please contact scottkoz20 for more details. A new giveaway from Kronozio! Check out Steel City Collectibles! If you have an eBay Store and want SCF to link in your items, please contact scottkoz20 for rates and what is included. These Breaks and Events are posted and hosted by SCF Staff Members only. Exchange your Reward Points for items here! Cards sold for Reward Points in our storefront system! Cant find a place for your item? Post it here! Game consoles, video games, computers & other electronics. Show off your misc. collection!